This is probably one of the most common things we see daily from clients who have attempted the visa to the UK themselves or used another visa establishment with no experience and lack of knowledge with the presentation of a UK visa application. Getting refused a UK tourist visa can be heart breaking for you and your Thai girlfriend as it leaves you with a blank and bleak outlook for the future, so what do you do? you take it on the chin come to Key Visa and try again there is no set amount of times you can re apply or timescales but getting it right first time is an art and takes years of weekly experience dealing with the British Embassy visa section so saving yourselves money by using a cheaper option or trying it yourself normally ends up in a disaster. Key Visa has been obtaining UK tourist visas for Thai nationals for 14 years and I must say currently it is the most difficult we have seen with the controls on Immigration to the UK at present it is a mine field and the slightest thing can lead to a visa refusal so get the documents and the presentation correct and a visa refusal is something that you do not have to worry about, refused visas tend to always be because the documents are not substantial enough or the presentation is in correct or your Thai partner says the wrong things which is not there fault because your Thai girlfriend is going in blind with no real guidance so you cannot as a sponsor lay the blame on anyone as it is difficult and a daunting prospect for your Thai girlfriend so let her get professional help and babysat through the full process by our Thai staff who have years of experience with the documents needed from the Thai side of the visa application and experts in translations. 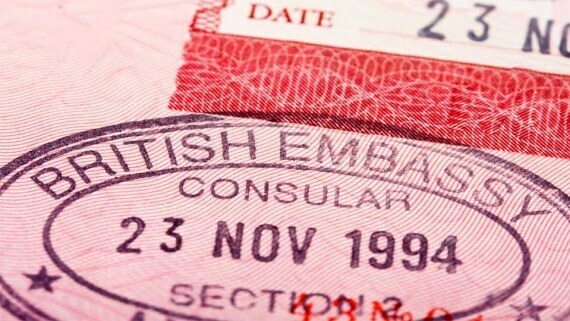 Getting refused a UK tourist visa for your Thai girlfriend can also come down to the feeling in the Embassy and what the officers are making a note to check on a weekly basis which is always changing which makes it so difficult to judge what is going to happen weekly and this is why visa consultants are there to cover all bases and plug all the holes and make sure that the British Embassy cannot catch you out on any point, we are not perfect and no body truly can guarantee visas but with a 98% pass rate and a no visa no fee policy making Key Visa you first choice will save the tears and the heart ache. If you wish to visit our office with your documents and you have been refused a UK tourist visa for your Thai girlfriend then please do not forget to add the refusal notice that is given by the British Embassy so that we can ascertain the reason for refusal and look deeper in to what they have stated on the UK refusal as what they say is not always what they mean so you need professional assistance to get it correct especially if you have been issued with a visa refusal to the UK.